Celebrate Dad’s keen nose for adventure with some family fun in the Lake District this Father’s Day. Here are 5 of the best activities for Father’s Day 2018 in the Lake District. We have some long weekend availability for Father’s Day cottages too. Contact our Customer Service team on 015394 88855 if you need help booking a cottage for the dates that you are looking for. We offer various extra’s when booking with Lakelovers, such a bike hire, leisure club access and golf vouchers. Our Customer Service team can help with these too. Plus, don’t forget that we’re the top provider of VisitEngland 3-5 star rated dog friendly holiday cottages in the Lakes for pooch Pa Pa’s. Just look out for the purple paw print symbol, a little like this . If you’re travelling in a group, perhaps you have a babysitter with you so Dad can head to the Brewery Arts Centre in Kendal on Tuesday 12 June 2018, for a live screening of Muse’s applauded concert tour – ‘Drones World Tour’ 2015-16. The concert movie, being screened at this superb venue for 1-night only, shows never seen before special effects as well exclusive interviews with the band. Food is available from 5pm during the week at the Brewery Arts Centre, where Dad’s have a choice of VATS Bar for pizzas and burgers and light snacks or The Grainstore Restaurant for a more gourmet experience. In the northern Lake District, The Bistro at the Lakes Distillery, Bassenthwaite, have a very tempting Father’s Day menu available from Friday 15 – Sunday 17 June, which you can book online or give them a call on 017687 88850. View the menu here to see what you fancy. 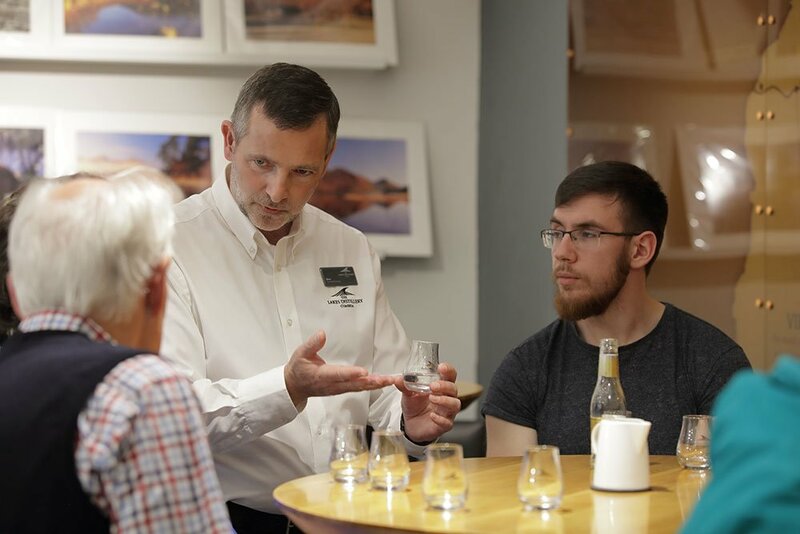 The Lakes Distillery online shop have some great Father’s Day gifts too and their online postage service is reliable. For Dad’s who love the Lake District you’ll score points with a Lakes Distillery gift. Oh, and kids will love a visit to the friendly Alpaca’s that live at the Distillery. In the South Lakes, every Sunday The Beer Hall at Hawkshead Brewery in the village of Staveley, just outside Windermere, hosts an open mic session with Fiona – Music in the Lakes from 5pm-8pm, when the bar closes on Sunday. The bar is open later, until 11pm, on Friday and Saturday nights. Food is served on Sunday’s until 6pm, and there’s always a traditional Sunday roast option if you wanted to treat Dad to a tasty Father’s Day meal too. Dining is on a first-come-first-served basis as reservations are not taken and this is a popular, but very well run spot. 45-minute brewery tours generally run daily at 1pm and cost £10 including a pint or two halves at the end. Kids are now welcome on the tours and we’d highly recommend lunch at The Beer Hall, if you’re not already planning dinner. Their Beer tapas is particularly popular. Hawkshead Brewery is one of the ‘biggest little breweries’ in the country and currently produce 7,000 barrels a year of craft ale. It is the creation of former BBC journalist Alex Brodie who now finds himself on a mission to craft ‘beer from the heart’. In the heart of the Lake District, Barngates Brewery at The Drunken Duck Inn is a very low-key, yet award-winning, microbrewery that services one of the Lake District’s most popular high-end pubs, The Drunken Duck. This stylish pub sat in a wonderful location above Ambleside, has a very popular food offering. So much so, that booking is highly recommend for evening meals, especially around events such as Father’s Day. A lighter daytime menu is available from 12 midday-2.30pm (Sat) and 4pm (Sun) and does not require advance booking. Whilst brewery tours are not the norm at this small microbrewery, if you call in advance an informal viewing may be possible. Alternatively, simple treat Dad to a beer tasting from the great selection available on tap from the Duck’s hop-decorated bar. The pub scene in the Lake District is burgeoning and today most serve up a splendid Sunday roast. Lakelovers customers receive 10% off the bill at The Brown Horse at Winster, in the Lyth Valley, which we feel will make both Mummy and Daddy happy. 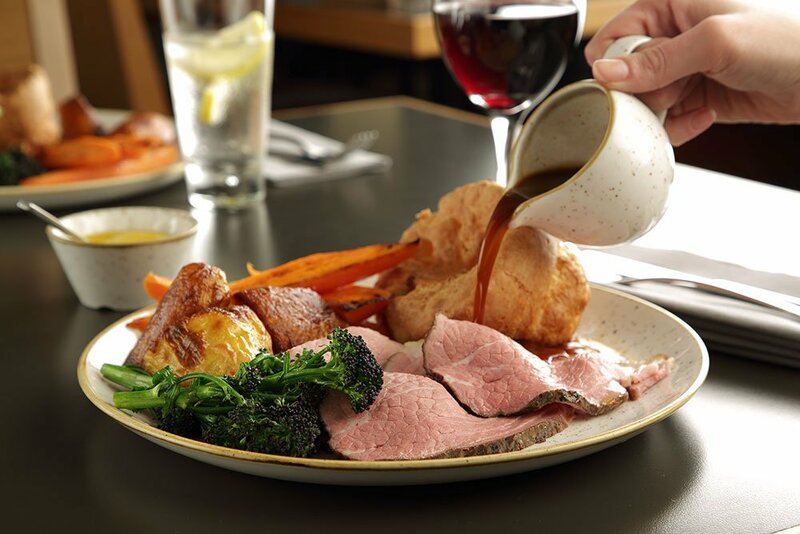 We’d also recommend a “Great British Sunday Lunch” with Lamplighter Dinning Rooms in Windermere, where each table carves their own cut so everyone gets just what they fancy. This is a real family occasion place, where Daddy can let the chef’s know in advance of any family favourites and they will do what they can to accommodate. 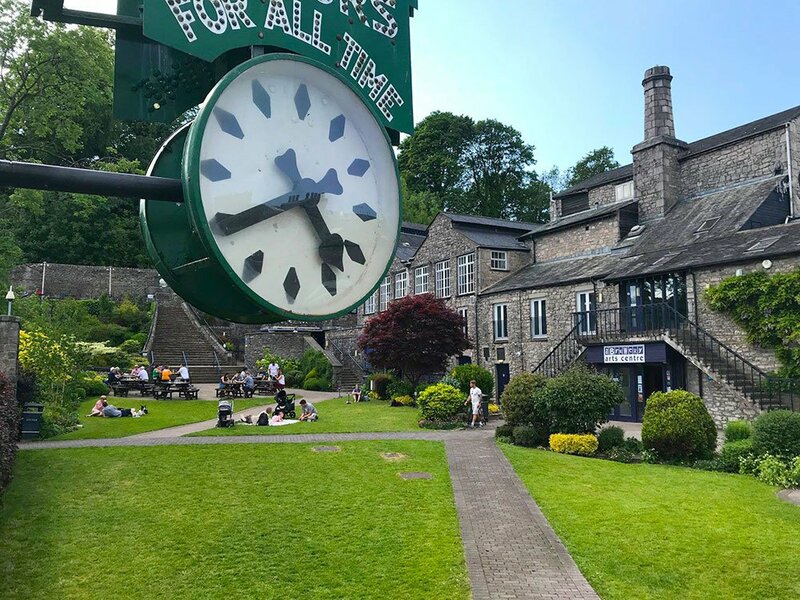 Lakeland Motor Museum, is located on the River Leven just outside Newby Bridge, south of Windermere – 10-minute shuttle bus ride from lakeside Pier. A family pass (2 adults and up to 3 children) is currently available for £22.50 for advance online booking (£25 door price). A £64.65 family pass gives unlimited boat travel on sister attraction, Windermere Lake Cruises, where you can journey to any of the popular piers – Wary Castle, Brockhole, Ambleside, Bowness, Ferry House, Fell Foot. Whilst exploring south Windermere, treat Dad to a diesel locomotive driving experience day with Lakeside & Haverthwaite Steam Railway. 4×4 off roading is on offer in Windermere with Kankku for hands-on Dads. Mud, thick tread and unexpected routes off road are the perfect combination for Dads and older daredevil kids. The Lakes Aquarium, also at Lakeside on the southern tip of Lake Windermere, is a great family attraction, whether you are a big or little nipper. Delve below the Lake District waters to explore freshwater marine life, visit creatures from Asia and the Americas, as well as getting up-close and personal with exotic rainforest life, like poison dart frogs, leaf cutter ants and a pygmy marmoset. There are talks throughout the day, so check out their website to make sure you don’t miss out. This Father’s Day 2018 Dads can grab free bacon butties at Kong Adventure, Keswick in the northern Lakes. For families with kids aged 5+, Krazy Kong is a range of 10 fun themed climbing walls and requires no climbing experience as they have auto belay systems in place and so a great activity for newbies. 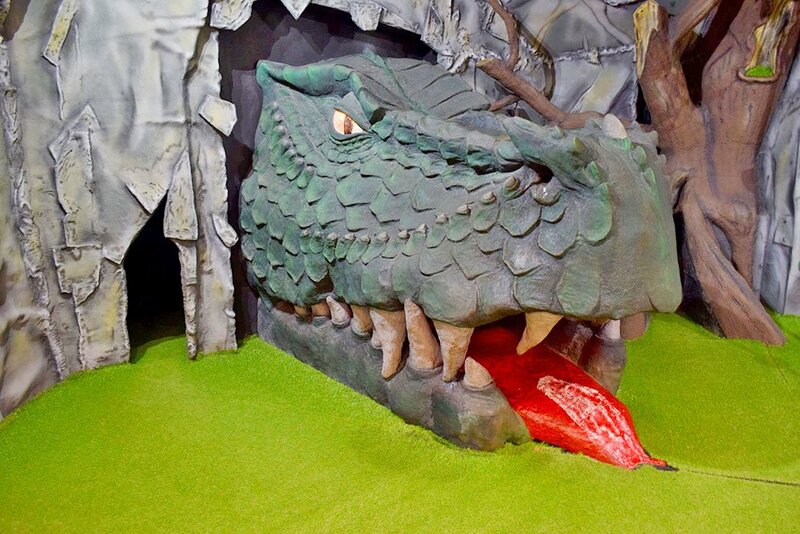 And for younger family member, aged-3+, there’s a superb Kids Hard Play area with nearby café for Dad to enjoy his free Father’s Day bacon roll! Daily supervised climbing sessions for all levels can be pre-booked at Ambleside Climbing Wall and Lakelovers customers enjoy 10% off with Lakelovers Recommends Card. Ambleside is also a great place to take Day kit shopping! 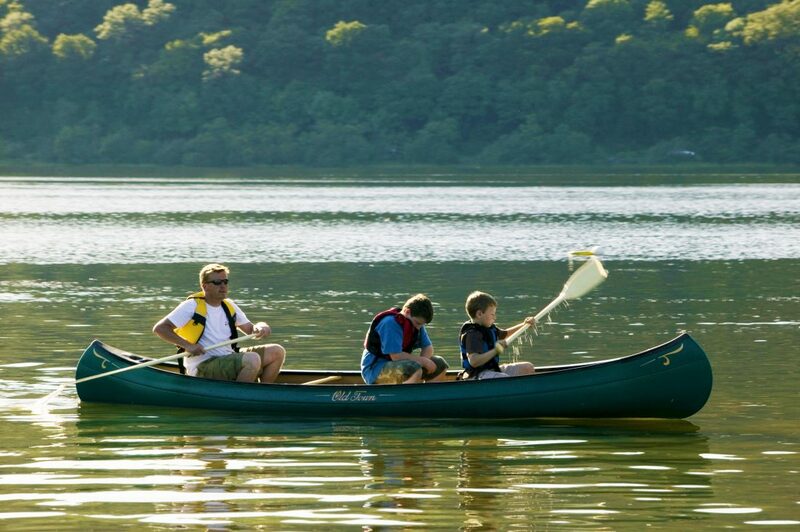 Let Dad be captain for the day and head onto one of the Lake District’s famous waters. Popular options include motor boats, row boats or canoes. Take a picnic with you to enjoy at a scenic lakeshore cove. Stand Up Paddle (SUP) boarding is a water sport that is making waves in the Lakes, and as it is relatively new the chances are Daddy will be as bad as the kids at it, so everyone can have fun falling in. 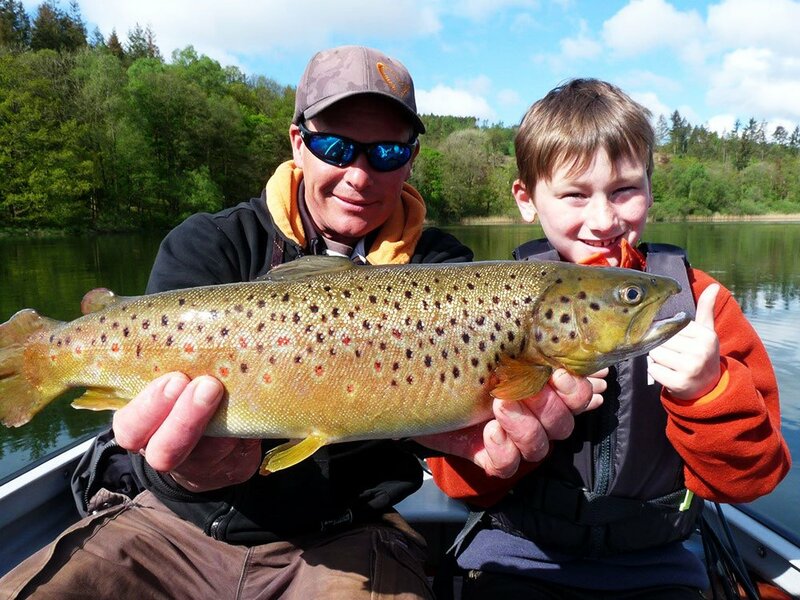 Esthwaite Water Trout Fishery, Hawkshead is one of the most peaceful locations in the Lakes and their £95 ‘Dad’s and Lad’s beginners course is a special way of spending quality time together to celebrate Father’s Day. This cost includes half-day friendly tuition and all tackle is included. Complete the day with a bite to eat at the Cafe on the Lake, where you can also join the driver-less Osprey Safari boat tour. A leisurely half-mile walk along the ‘nature trail’ will take you to Beatrix Potter’s former home, Hill Top. Did you know that Esthwaite Water is the home of Beatrix Potter’s beautifully-attired Jeremy Fisher character?